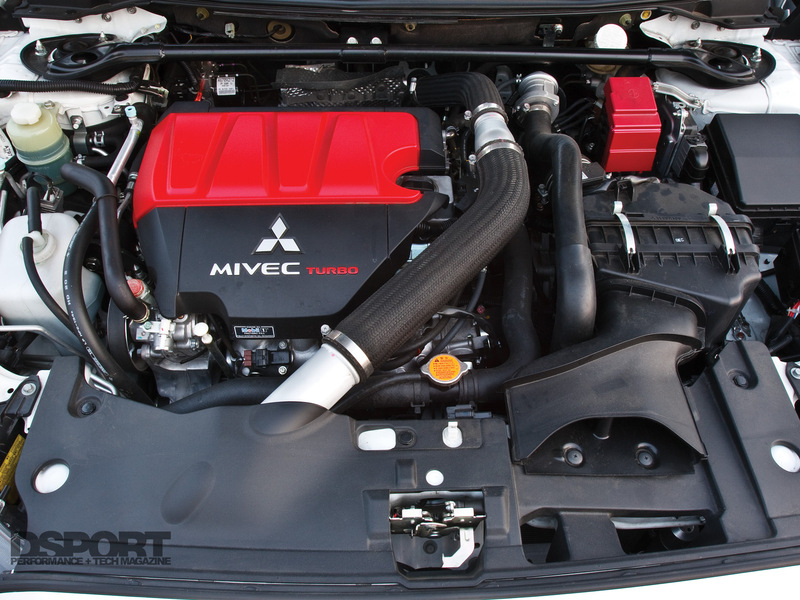 EIGHT YEARS AGO, MITSUBISHI’S EVOLUTION X ASSUMED the duty of carrying the performance torch for the marque as its flagship performance platform. Powered by a 291 horsepower, turbocharged 4B11 engine, the EVO X proudly continuedthe Evolution legacy with the latest Super-All Wheel Control (S-AWC) AWD system and for the first time in the USA, Super-Active Yaw Control (S-AYC). Mitsubishi also offered its EVO X MR with a new transmission solution, the Twin Clutch-Sportronic Shift Transmission (TC-SST). This quick shifting gearbox offered rapid gear changes at the press of a paddle. 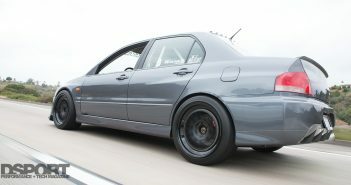 The test platform for this Test & Tune is a 2014 Evolution X MR Touring Edition with only 15,000 miles. 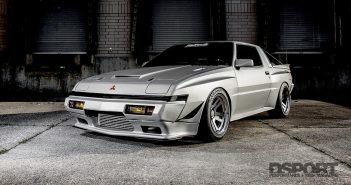 This daily driver needed to continue to serve as a commuter while delivering elevated performance over stock. Although the torque capacity of the TC-SST transmission has raised concerns among enthusiasts, our goal is to evaluate upgrades that will raise the MR’s output within the known abilities of its driveline. 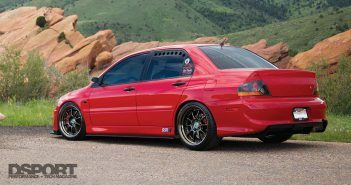 For this first Test & Tune installment, we looked at the three easiest and most popular modifications enthusiasts choose for the EVO X, an ECU flash solution, an exhaust and an intake. 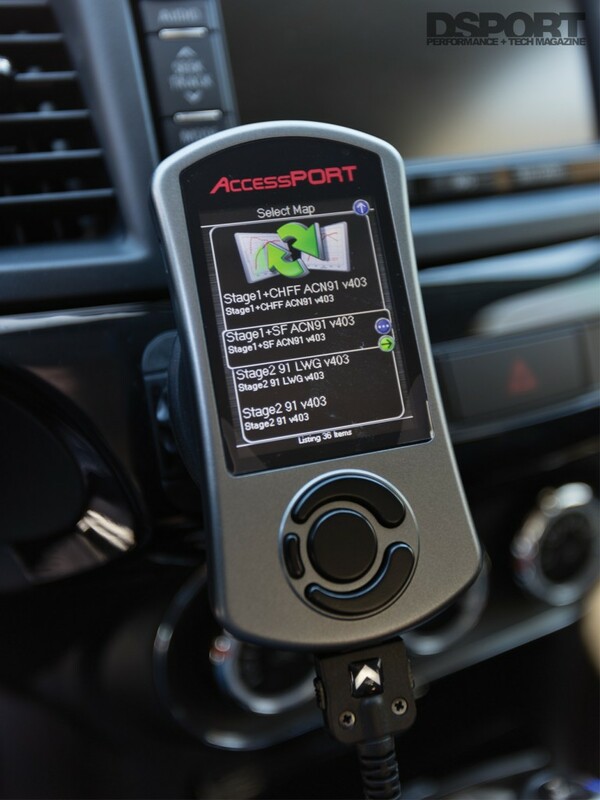 efficient) we loaded the predesigned calibrations by way of a Cobb Accessport (p/n AP3-MIT-002) aafter each modification. On the Cobb Tuning website, the appropriate maps were downloaded to our desktop computer and then uploaded to the third generation Accessport (V3) by way of Cobb’s Accessport Manager soware (both PC and MAC versions are available). Since we’re located in California, our Premium Unleaded pump fuel is restricted to 91 octane and jammed with special formulation guidelines. Therefore, we chose the special “Arizona/California/Nevada 91” (ACN91) calibrations for our test vehicle. 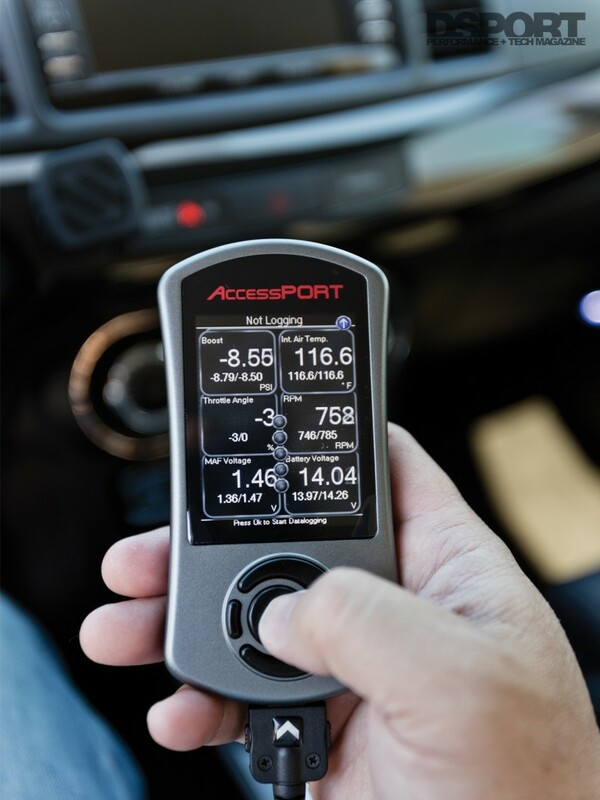 The Cobb Tuning Accessport can serve as a multi-function display capable of monitoring up to six different variables on its color screen. It can also be used to identify and clear engine trouble codes. 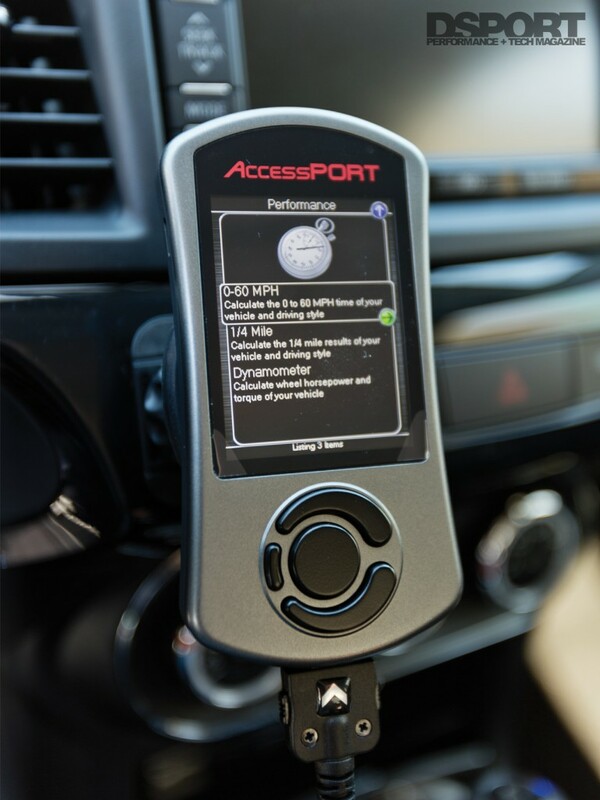 The Accessport menu is easy to navigate and makes map changes, performance measurements, datalogging, diagnostics and monitoring a simple process.